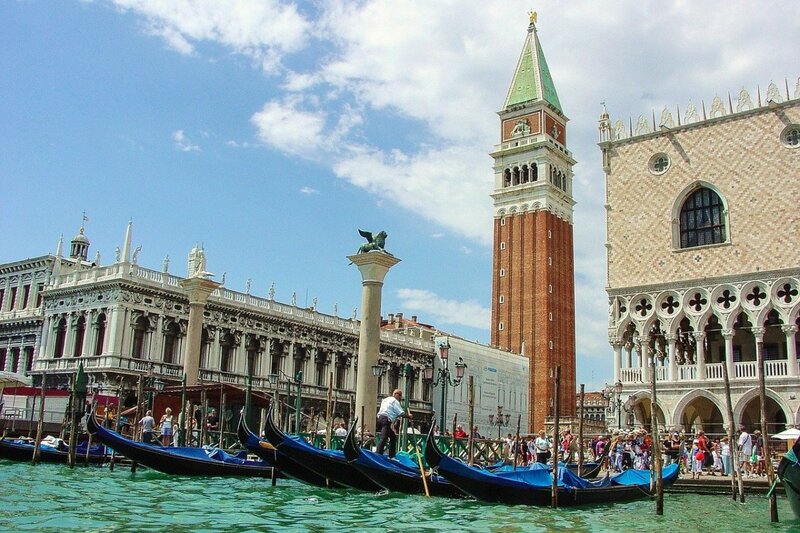 Naples, Italy: Great Food at a Cheap Price! 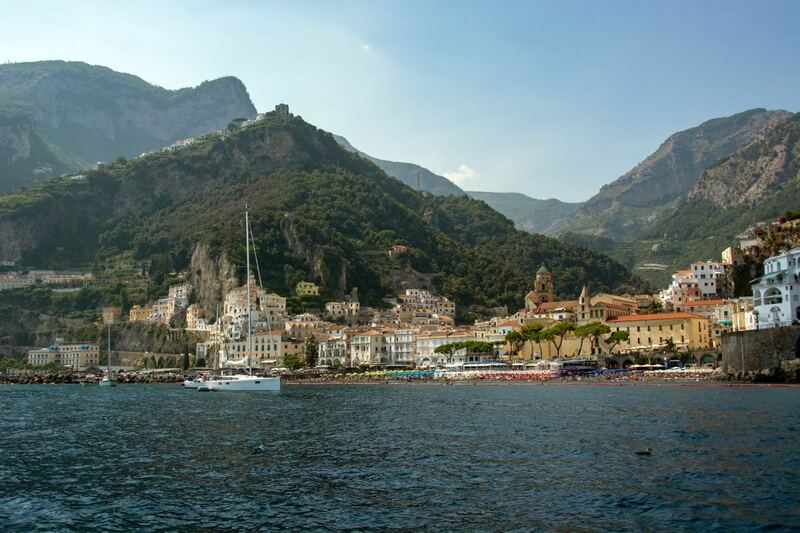 Despite having lived in Italy for years and having traveled all over the country, I had never been to Napoli. My husband and I had to go there on business and stayed for three days. 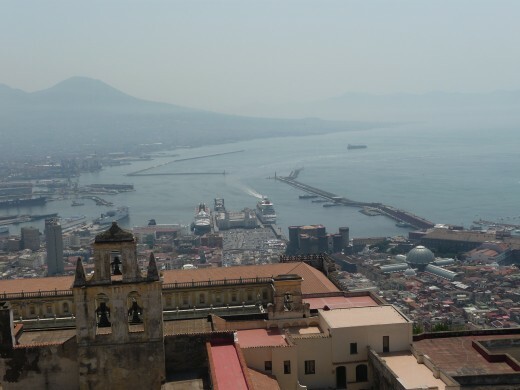 Napoli is a city of contrasts: imposing Norman castles coexist alongside neon signs, piles of trash lay simmering in the heat a few blocks from posh restaurants, and the same city that gave birth to the dangerous Camorra nurtures some of the friendliest Italians I have ever met. There was no contrast in regard to food, however; it was all delicious, fresh, high quality and affordable. When it comes to eating well, the people of Napoli do not mess around. As many of you who read my articles know, I try to eat at places that are lesser known to tourists. 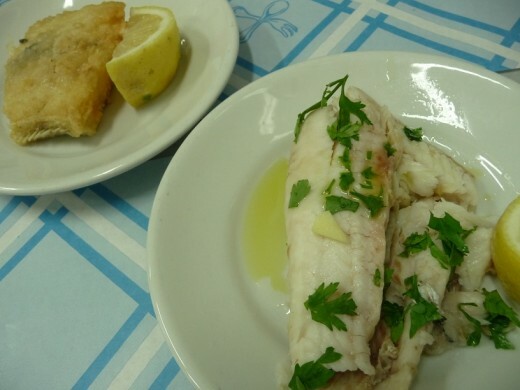 I like places that offer casalinga (or in Neapolitan: casareccia), which means "home- style" cooking, and tend to avoid fancy restaurants that often reduce food quality in favor of trendy locales and pricey décor. 1. 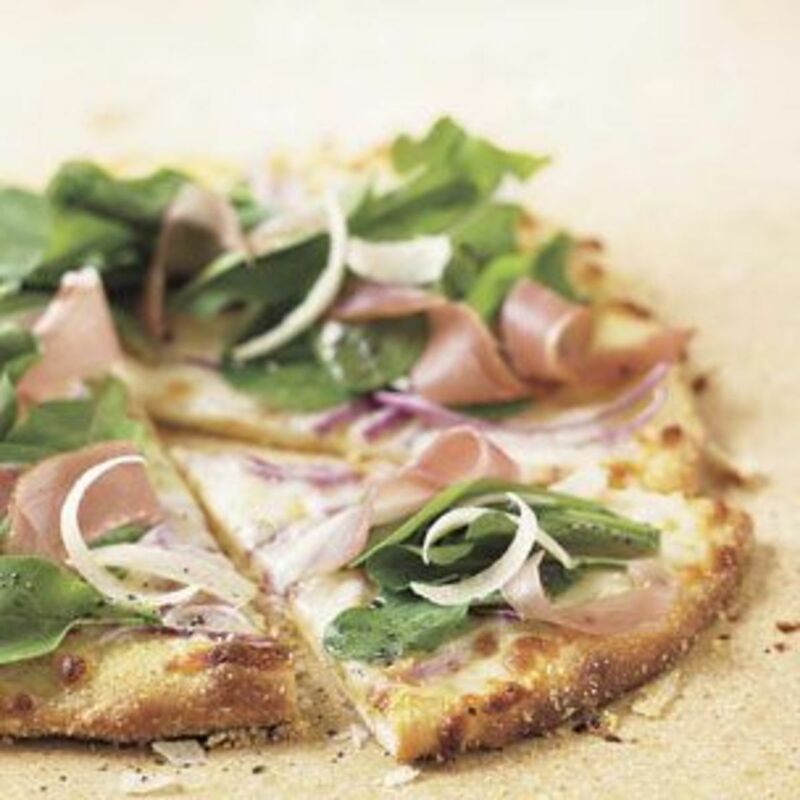 Pizza: Having lived in several cities throughout the U.S., Brazil and Italy, I thought that I had eaten my fair share of good pizza- so did my husband. We were wrong. Napoli has the best pizza- PERIOD. It's not just because of the amazing mozzarella or the incredibly fresh tomatoes that go into the tasty marinara- it's the dough itself. It's flavorful and cooked perfectly. The secret? Super hot wood fired ovens (300-400c). The pizza pie goes in for only a couple of minutes while the pizzaiolo carefully spins it around so that it cooks evenly. 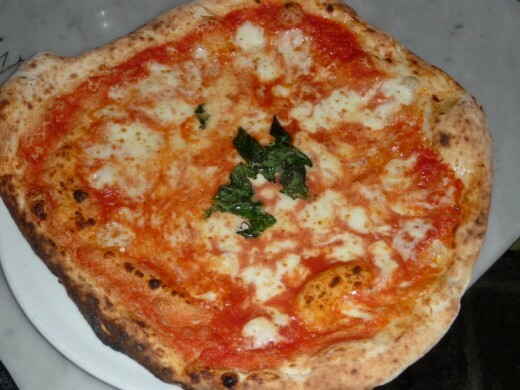 The result is a pizza that is crispy outside, soft inside and always cooked in the center. Delicious! Pizzeria Sorbillo (Via Tribunali, 32. Tel. 081 446643). 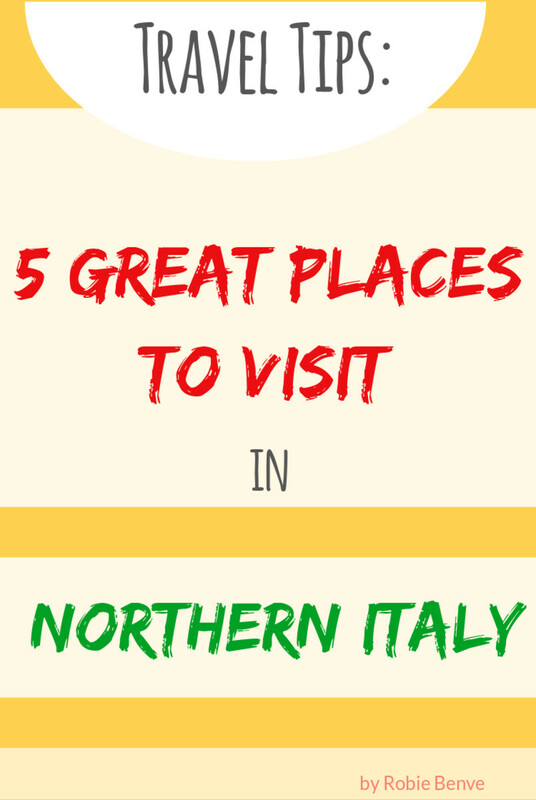 I spoke to many locals and each had a different opinion about which pizzeria is the best in Napoli. My husband and I ate at three different places and decided that Sorbillo was our favorite. Serving pizza since 1935, we were impressed to learn that the original mamma had 21 children and ALL of them became pizzaioli. Wow! Price for a pizza Margherita: 3,30 euro (not including cover). 2. Mozzarella: Aside from getting mozzarella on your pizza or in your pasta, you can go to just about any reputable Salumeria and buy it there. We had them make panini with just the cheese and bread (it's so tasty that you don't need anything else). 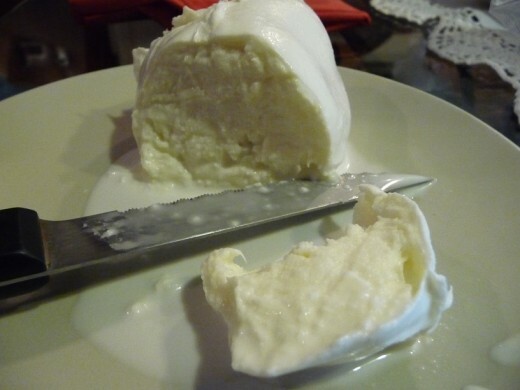 Mozzarella is made fresh daily and kept in big bowls of water- never refrigerated. It's meant to be eaten the same day. The minute you slice into a mozzarella ball from Napoli (or southern Italy in general) and take your first bite, you will understand what all the fuss is about! 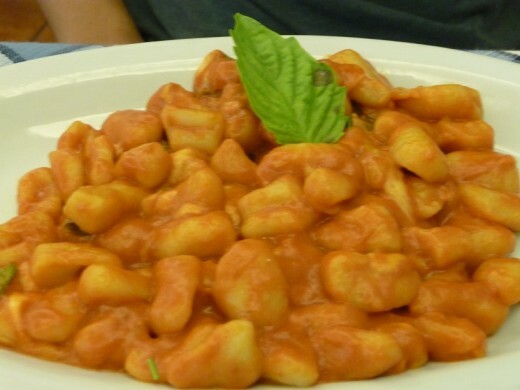 Gnocchi alla Sorrentina (Salvatore makes the gnocchi by hand and creates a sauce of tomatoes, provola cheese and smoked pancetta- delicious). 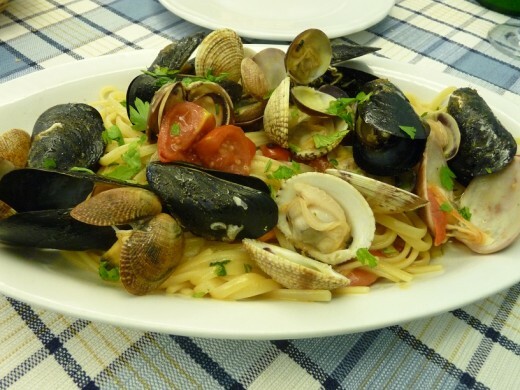 Linguine ai Frutti di Mare (the best linguine and seafood I have ever had in my life- seriously. Fresh and abundant seafood with a perfectly seasoned sauce). Scallopini al Limone (lightly breaded thin veal chops in a delicate lemon sauce- divine). 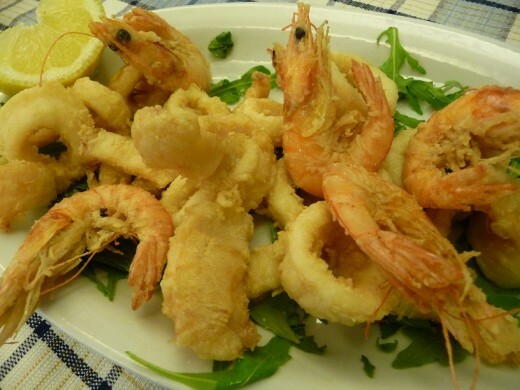 Calamari & Gamberoni Fritti (very light batter, quickly fried, leaving the shrimp and squid tender and juicy- excellent). 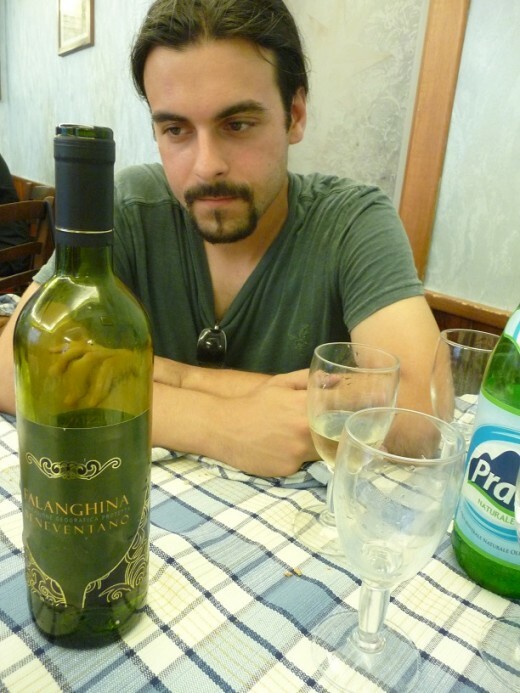 A bottle of Falanghina (the crisp, local white wine produced in the region is a perfect accompaniment to seafood). 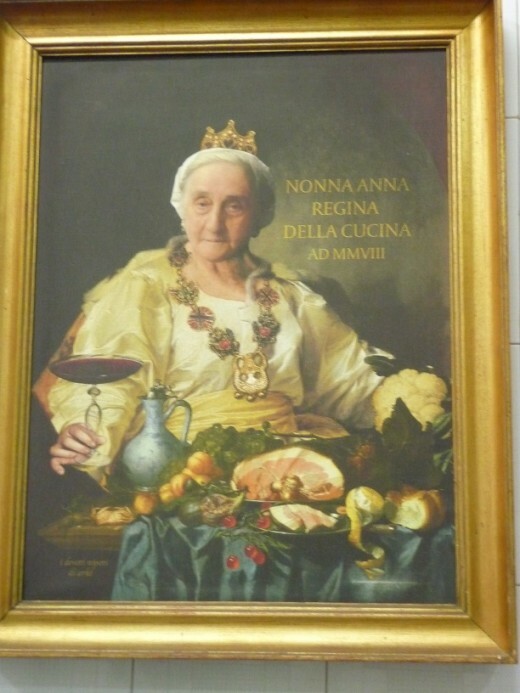 Choice #2: Taverna Cibi Cotti da Nonna Anna (Via F. Galiani n.30 inside the Mercatino Rionale Torretta. Tel. 081 682844). 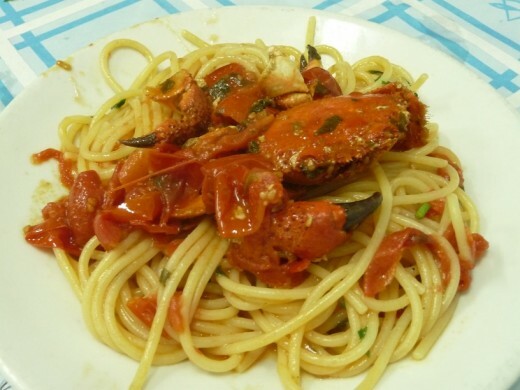 Spaghetti con Granchi (spaghetti with crabs). The cook made sure to show me the live crabs in the kitchen before serving them to me. Being Azorean and having been raised in New England, there is no other way I will eat crab...I must see them alive first. 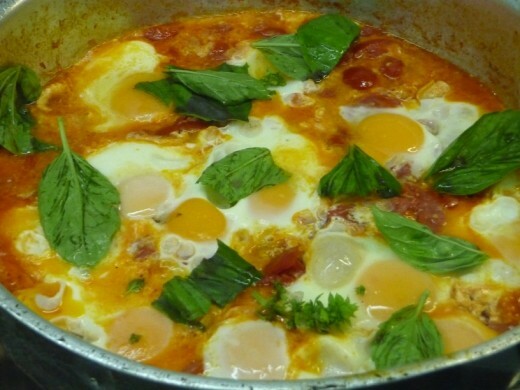 Unfortunately, there was no room to try the tasty-looking Uova al Purgatorio (Eggs in Purgatory) made with tomatoes, basil and eggs. 4. Pastries: We stumbled upon a place that is one of the oldest (est. 1924), most well known pasticcerias in Napoli. I recommend you try any of the following with either a macchiato or a limoncello (served with ice and wild strawberries). 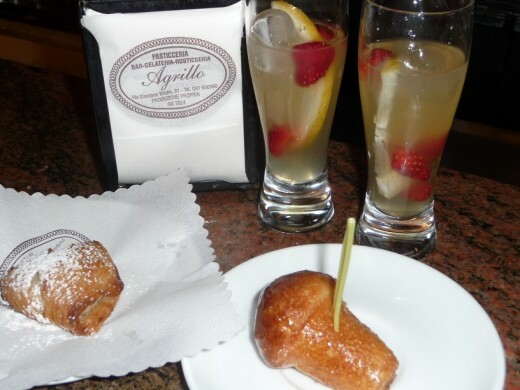 Pasticceria Agrillo (Via Giordano Bruno, 81. Tel. 081680980). Baba (delicate sponge cake soaked in rum- heavenly). Sfogliatelle (aka: lobster tail in the U.S., flaky layered pastry dough with sweet ricotta filling). 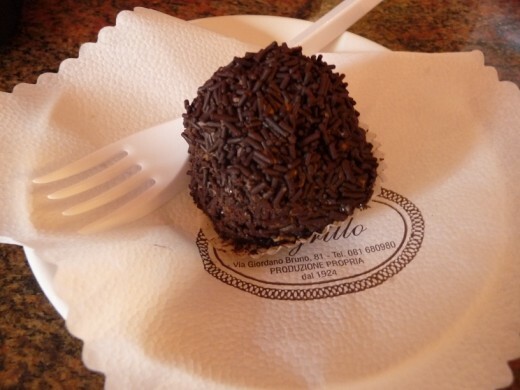 Testa di Moro (head of a Moor), decadent chocolate cream filled sponge cake covered in chocolate shavings or sprinkles. 5. Fried Goodies: Those who know me know that I don't usually eat fried foods because I find them heavy and unhealthy. I will occasionally break this rule if the food is lightly fried or amazingly good. The following are usually sold on the street so be sure that you get them fresh- usually in the early afternoon. Also, don't overdo the fried stuff. My husband and I only tried one item and we split it, otherwise you will get too full to eat the seafood! Arancini (rice balls filled with ragu or a blend of peas, ham and cheese). 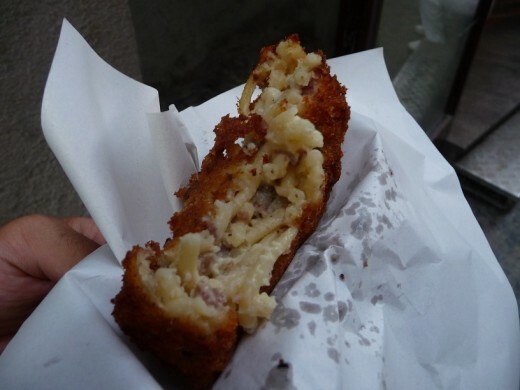 Crocchette di Patata (potato and cheese croquettes). Frittata di Maccaroni (pasta blended with ham, cheese, peas and egg and then fried). Needless to say, we ate a lot, but with NO regrets. Food is meant to be enjoyed and how can anyone not be tempted when in Napoli? 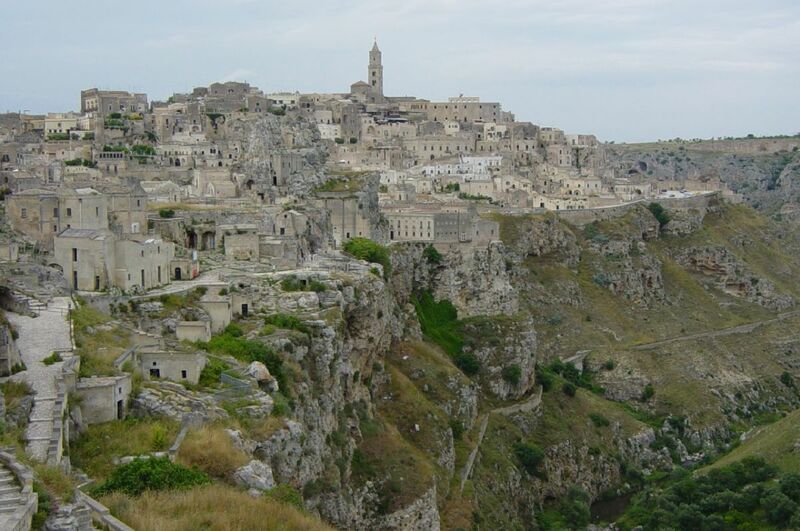 Of course, we walked several kilometers, climbed hills and stairs and visited the archeological ruins, so we burned a lot of that mozzarella off! 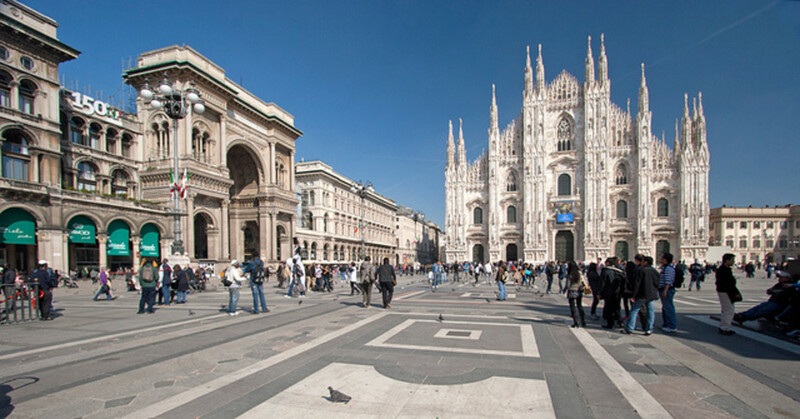 If you are in Italy, definitely check out Napoli. Thank you for reading!